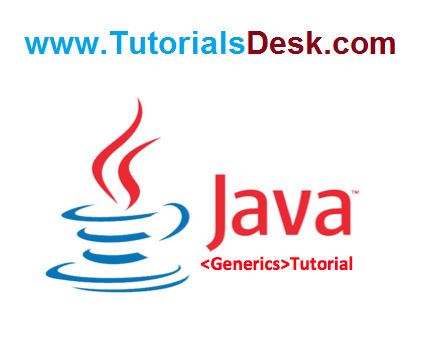 Generics were added by JDK 5. Most of the algorithms are logically same irrespective of the type of data they are being applied to. By using generics you can define an algorithm once, and you can apply it on any kind of datatype without any additional effort. Generics allows a type or method to operate on objects of various types while providing compile-time type safety. It adds compile-time type safety to the Collections Framework and eliminates the drudgery of casting. Generics was added in Java 5 to provide compile-time type checking and removing risk of ClassCastException that was common while working with collection classes. Let's see below basic example to understand benefits of generics. Above code compiles fine but throws ClassCastException at runtime because we are trying to cast Object in the list to Integer whereas one of the element is of type String. Very often you only use a single type with a collection. For instance, you only keep String's or something else in the collection, and not mixed types like I did in the example above. This for-each loop iterates through all Integer instances kept in the intvals list. For each iteration, the next Integer instance is assigned to the intval variable. This for-loop is shorter than original while-loop where you would iterate the collections Iterator and call Iterator.next() to obtain the next instance. We can define our own classes and interfaces with generics type. A generic type is a class or interface that is parameterized over types. We use angle brackets (<>) to specify the type parameter. In the above example each instance of class GenericsClass have different types. We can also have multiple type parameters as in Map interface. Again we can provide parameterized value to a parameterized type also, for example new HashMap<String, List<String>>(); is valid. Sometimes we don’t want whole class to be parameterized, in that case we can use generics type in methods also. Since constructor is a special kind of method, we can use generics type in constructors too. Generic methods are methods that introduce their own type parameters. This is similar to declaring a generic type, but the type parameter's scope is limited to the method where it is declared. Static and non-static generic methods are allowed, as well as generic class constructors. The syntax for a generic method includes a type parameter, inside angle brackets, and appears before the method's return type. For static generic methods, the type parameter section must appear before the method's return type. This feature, known as type inference, allows you to invoke a generic method as an ordinary method, without specifying a type between angle brackets. NEXT READ : Generics bounded types, wildcard and Type Erasure Tutorial with examples.